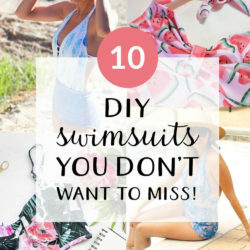 The basic assembly instructions couldn’t be simpler: cut out one front and back from your fabric in your desired size and lay your fabric pieces out, right sides facing. 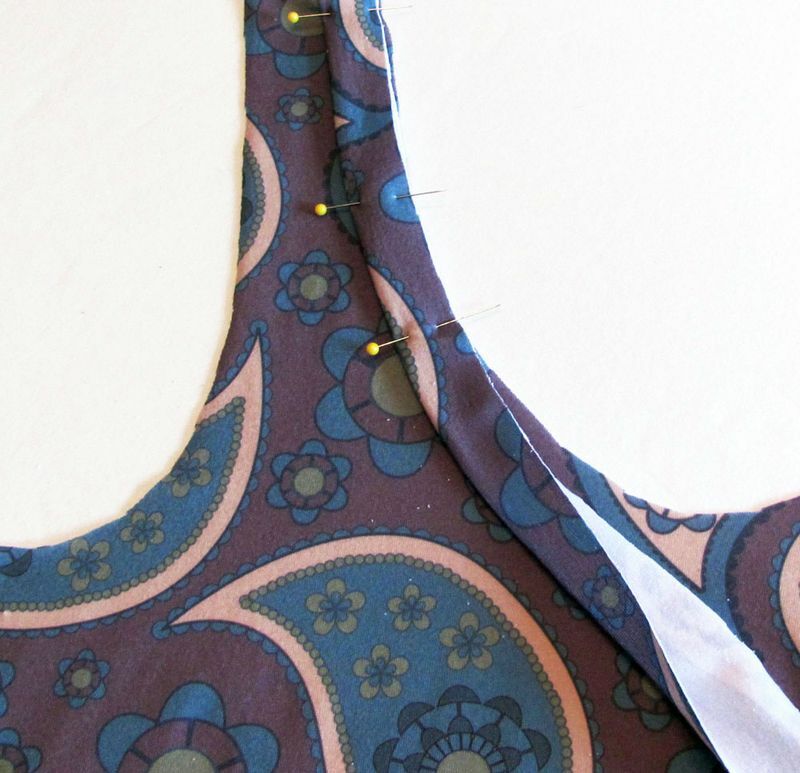 Pin together at the top of the shoulders, and down the side seams, then sew. 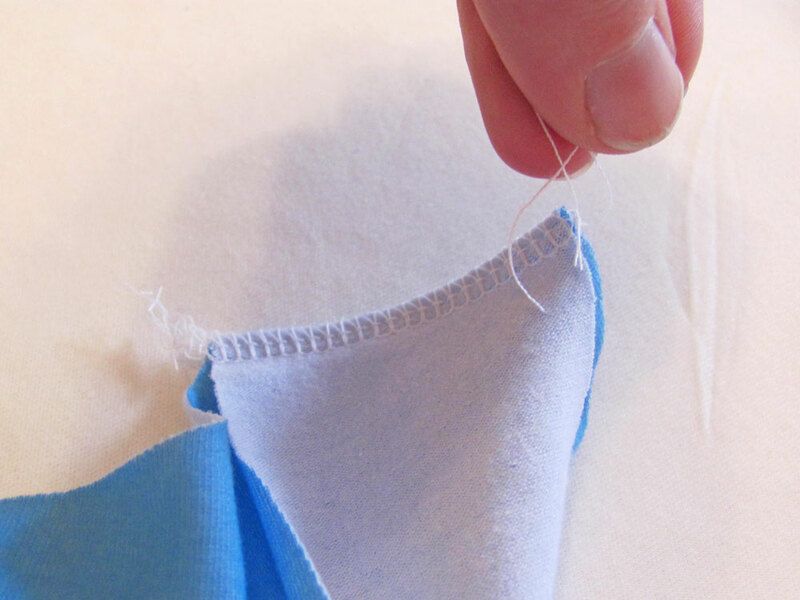 If you’re using a regular machine, use a zig-zag stitch to give your stitches some stretchiness to go with this stretchy fabric. If you’re using a serger, make sure you leave an inch or two of thread when you cut it off from your machine and tie a knot in your threads to secure your stitches. Because this tank is so basic, I’m going to discuss some ideas to make your own unique variations. This pattern is very easily to alter– raise or lower the neckline just by drawing out a copy of your pattern piece and before cutting it out, measuring how far up or down you want to move it the neckline’s lowest point. 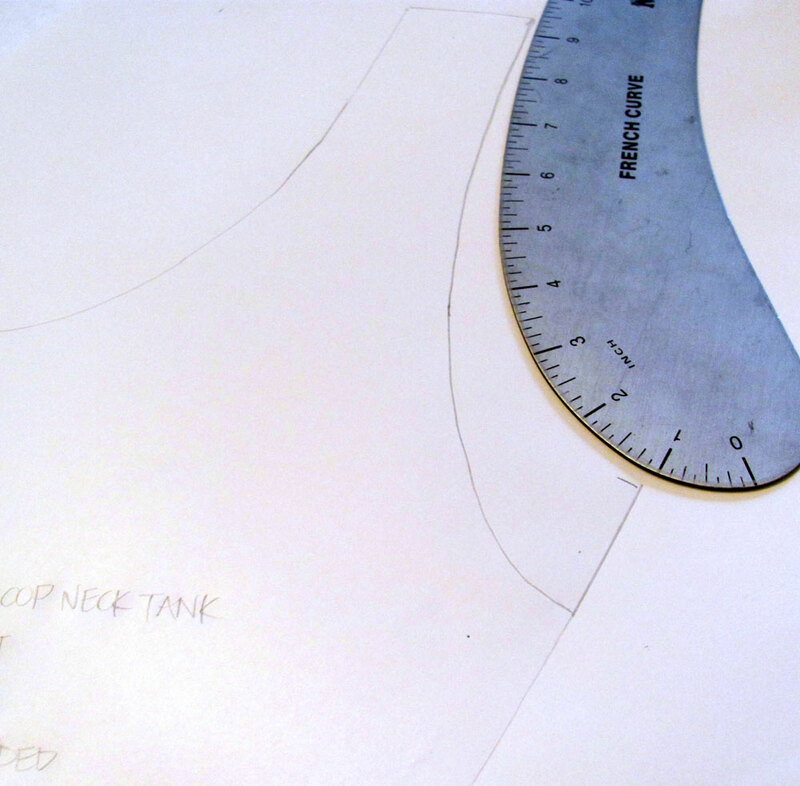 Then, use a french curve ruler to make your new neckline. Same goes for the length – turn it into a tunic by adding length to the center fold line and side seams, then use a french curve ruler to make your new hemline curve. 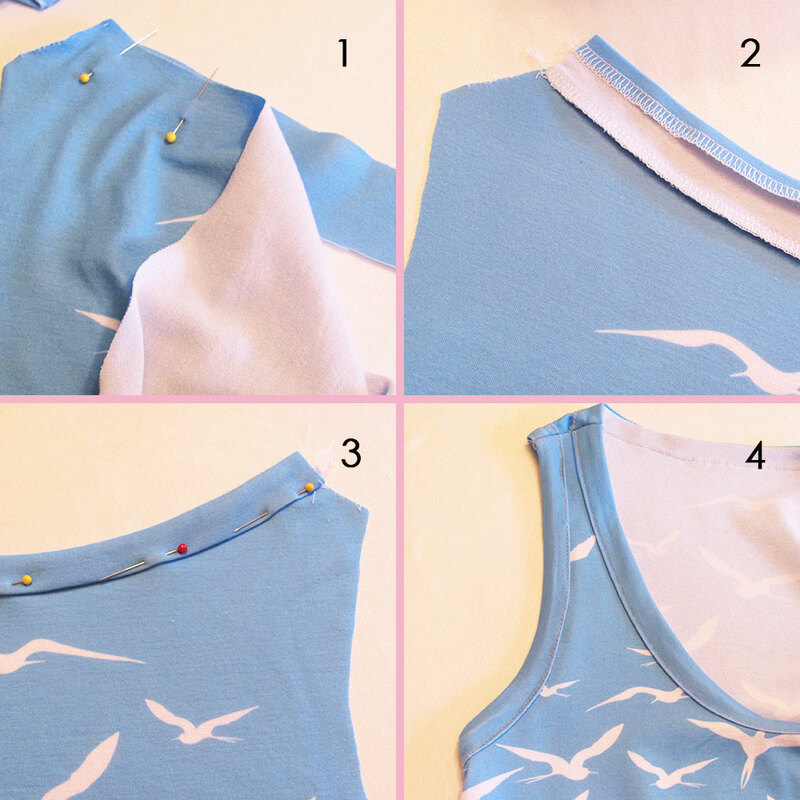 If you wish to create neck and shoulder facings, you can make a “bias tape” from your fabric by cutting 3 pieces of the neckline/armhole facing pattern piece (one for neckline and one for each arm hole, you’ll have a little extra left over). This variation came out of a class I taught on my raglan shirt pattern (thanks to River from the Spoonflower family for the idea)! Cut the same three copies of the neckline and armhole facing pattern piece and this time start by folding the piece in half along the length (right side out). Next, sew or serge the 2 open edges of your facing piece along the edge of your neckline and armholes, right sides facing each other. After sewing, press along seam to make neck facing lay flat and “stand up”. This method works best if you stretch your facing fabric piece just a bit as you go – this will keep the neckline or arms from looking droopy or stretched out. Of course, you can skip the facing and just leave raw edges if you’re using a jersey fabric; the edges will just roll a bit on the edges, but won’t fray. OR, serge your neckline and armholes for a different look– use contrasting thread and make the stitching part of your design! 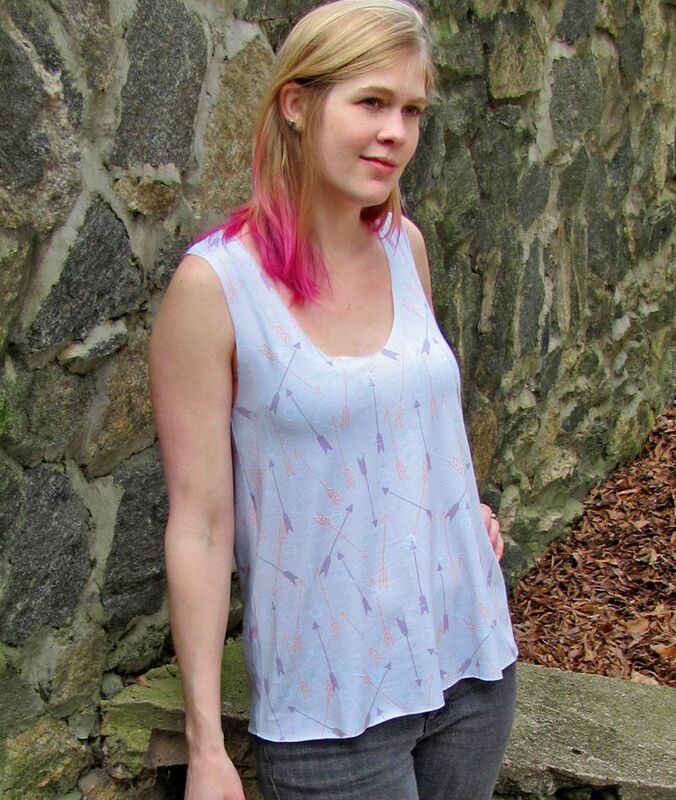 To create a completely different look, you can cut your pattern along the bustline and assemble the tank using two different contrasting or complimentary fabrics. 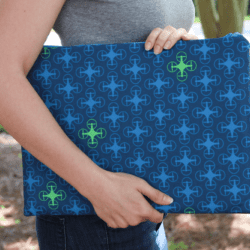 This is a great way to stretch out fabric you might not have very much of! 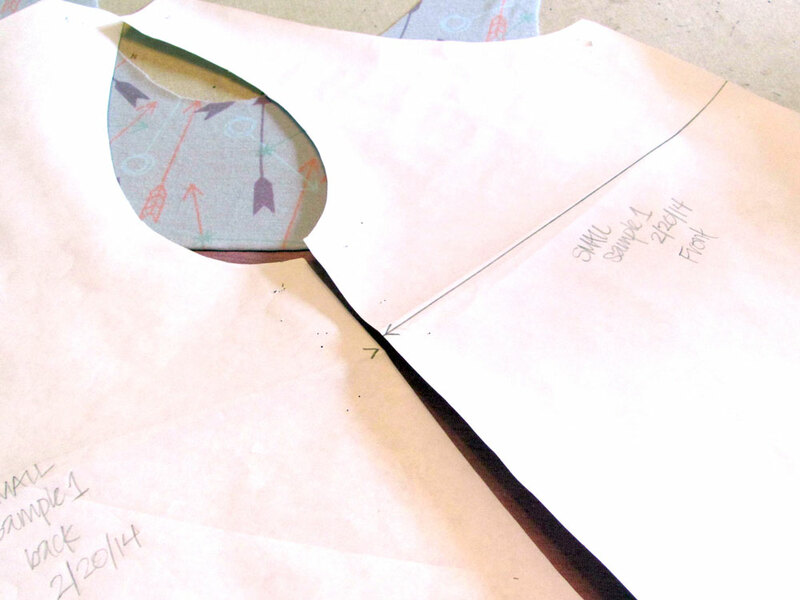 Pick a point on the side seam of your front pattern piece to mark your where you want to cut across. 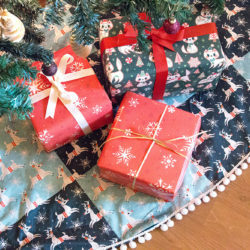 Next, fold your pattern piece down at the point you marked, lining up the pattern center fold line on the top and bottom layers of the folded pattern piece, and crease along the line the to the point you marked at the side seam. Mark and cut along this line. 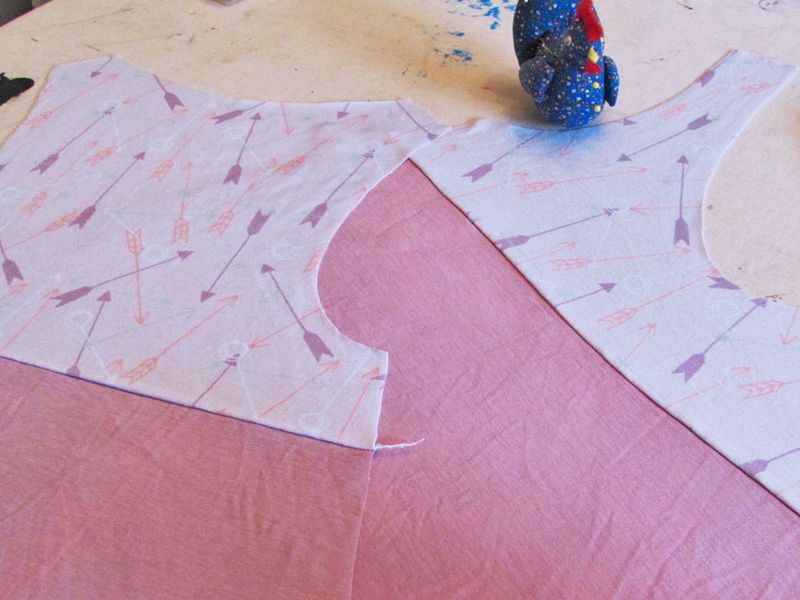 For your back pattern piece, use the top piece you cut from your front pattern to measure down the side seam of the back pattern piece. Line up the pieces at the armholes, then mark the point on the back pattern piece side seam where the front piece ends. Again, fold your pattern piece down, lining up the pattern center fold line on the top and bottom layers of the folded pattern piece. Mark and cut along this line. 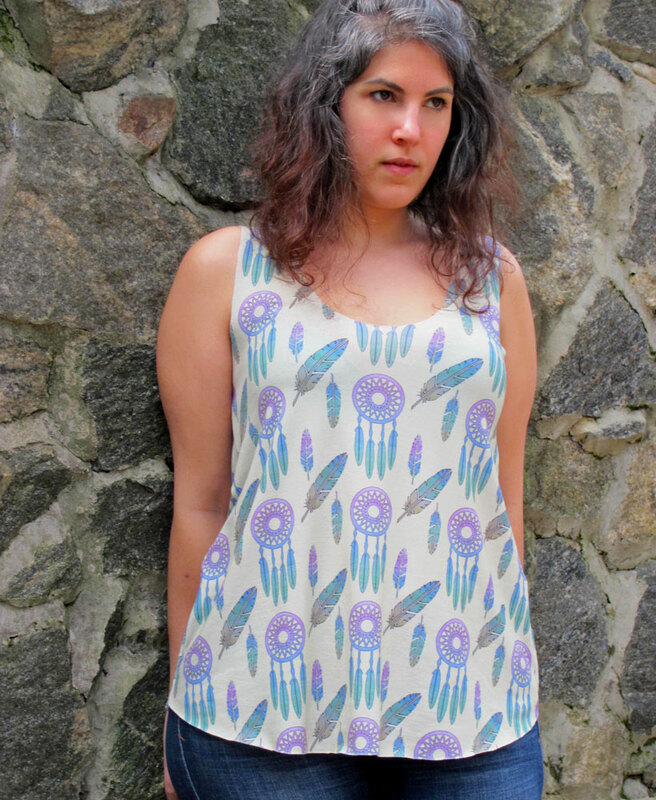 Now you can cut out your fabric and assemble your contrasting fabric top! Make sure to leave seam allowance along the new cut you made for re-assembly. Whatever direction you take this project, have fun with it and make it your own! 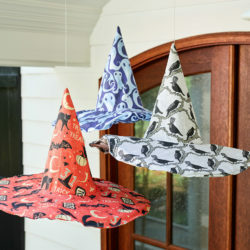 The possibilities are endless when you start with a simple, basic pattern. I’ve found in my own designing process that when it comes right down to it, there are only so many basic shapes for each kind of clothing item. It’s the little details and flourishes you decide to add that make it your own creation! 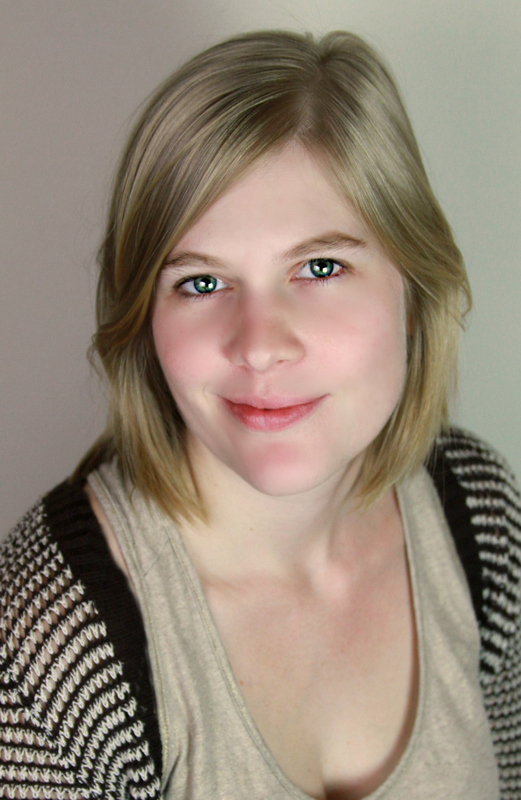 In the basic instructions, there is nothing about finishing the neckline, armholes, or hem. The tank in the picture doesn’t appear to have any trim, so I’m wondering how the edges are finished. Thanks for asking! The Modern Jersey knit fabric doesn’t fray (the same goes for any jersey knit fabric), so there is actually no need to finish the edges, you can just trim them neatly. 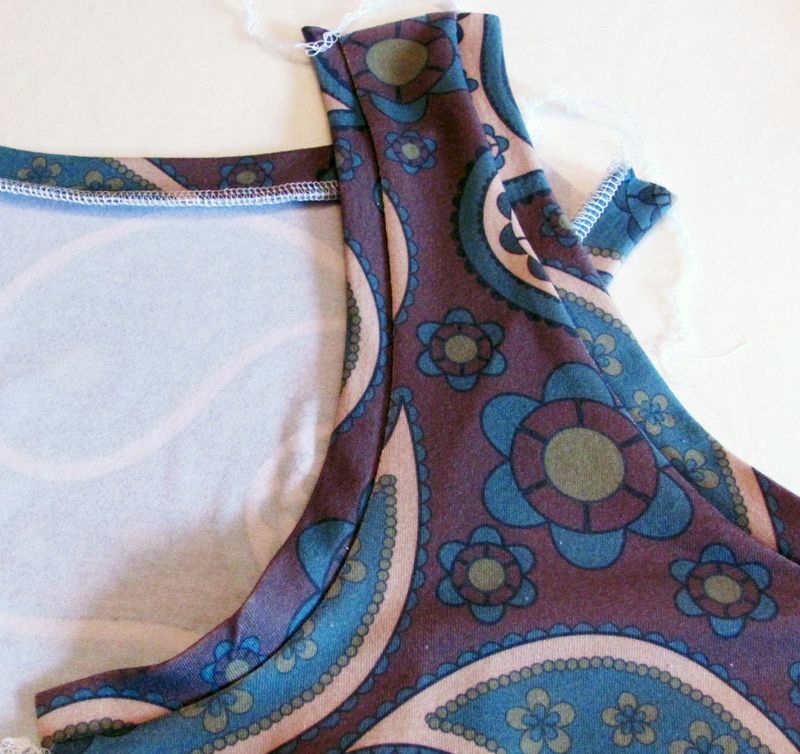 If you want a more finished look, there is the option to add the neck and armhole facing as discussed in Variation 1 and 2, and the hemline could just be pressed under and topstitched OR could be finished with the same technique shown in Variation 2. Hope this helps clarify things! 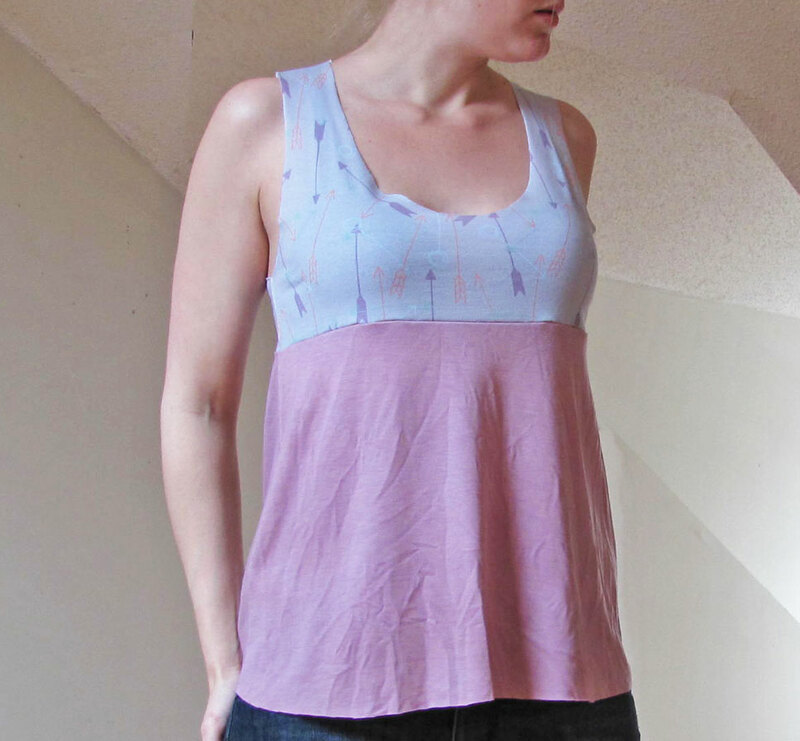 These shirts are so dang cute, I’m just kicking myself for never learning how to sew. It seems like it is still extremely basic, but I am renowned for messing up on things that are really basic. 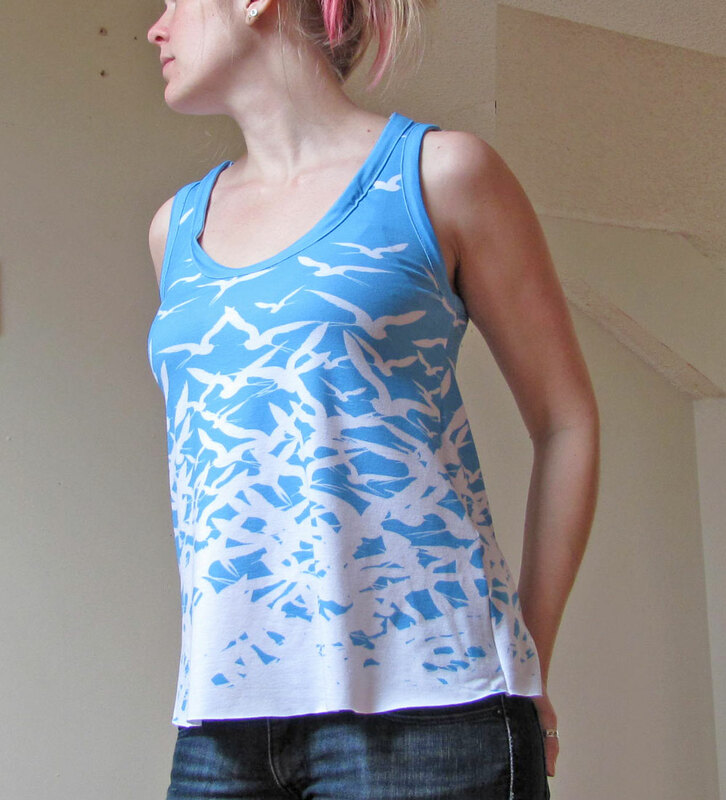 I might just show my mom this website, and beg for her to make me a shirt like that blue seagull one that you have. Does the modern jersey roll at the edges when cut? I’ve found that to be a frustrating part of working with other jersey fabrics. Thanks!! Extremely nice post. I want to thank you for this great read. I definitely enjoying every little bit of it. Keep posting good stuff!! So glad you enjoyed the post! Thanks so much for letting us know!